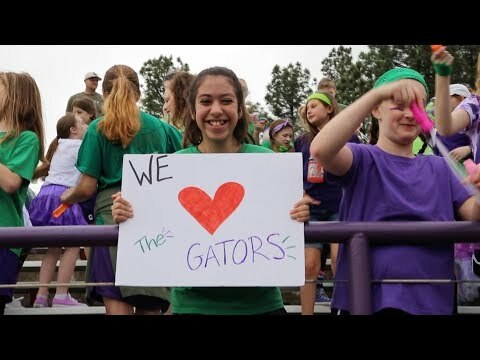 We are proud to provide Central Arkansas Christian students with the opportunity to participate in multiple athletic endeavors at the elementary, middle school and high school level. From football to bowling, to archery and volleyball, our Athletic Program continues to grow in size and variety each year. The CAC Athletic Department, coaches and trainers use Christ-like approaches to instill the importance of teamwork, discipline, humbleness and the willingness to be challenged in our athletes during practices, as well as encouraging them in classrooms and chapel services each day. CAC coaches are all experienced in and passionate about their fields, but like all of our staff at CAC, wins and awards are less important than the students’ spiritual growth. For on-the-go game information and results, follow @CACAthletics on Twitter. Through their dedication to training and team-building in season and off season, Mustang teams have won 26 State Championship titles in football, baseball, soccer, basketball, golf, tennis, softball and wrestling since 2001. Carson Swede (NIAAA Essay Award), Abby Shoemaker (Cheerleader of the Year), Christyn Williams (Female Athlete of the Year), Kelson Miller (Mustang Spirit Award), Chris Rawlins (Mustang Spirit Award), Evan Walls (Scholar Athlete Award), Blake Fairchild (Male Athlete of the Year). See how Mustang athletes and coaches prepare for the sports season by watching CAC All-Access: Athletics.